Dan was born and raised in St Louis, Mo. Since 1998, when he landed his first bike shop job, Dan’s life has revolved around bicycles. Dan started road racing in 1999. He has raced extensively throughout the Midwest and Mid-Atlantic regions of the United Stated, including two seasons of racing in the United States Mid-West Collegiate Cycling Conference for the University of Missouri-St Louis cycling team where he was also served as the president. Dan used powermeters intermittently since early 2002 and has trained exclusively with power since 2005. He currently races in the Mid Atlantic region as a Category 3 on the road, Category 2 for cyclocross, and in the Sport class for mountain biking. Dan received a Bachelor of Arts degree in communications from the University of Missouri-St Louis and is working towards his Master of Science in Applied Performance Physiology from Eastern Michigan University. 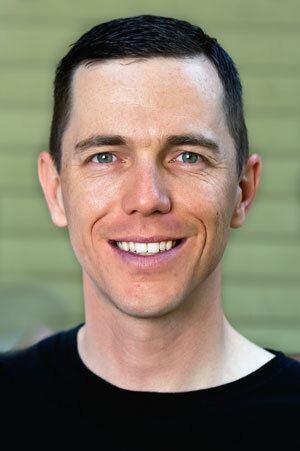 He received his USA Cycling Level 2 (formerly Expert) certification in November 2006 and his USA Triathlon Level 1 Certification in April of 2007. He is also a Serotta International Cycling Institute (SICI) and a Fit Institute Slow Twitch (F.I.S.T.) certified bicycle fitter. He does all of his fitting using the Dartfish motion capture system. 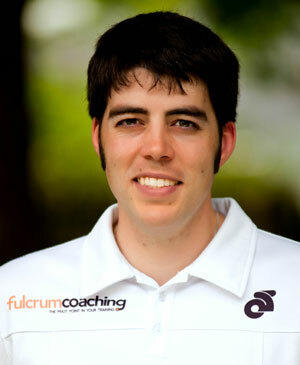 Dan is the owner and president of Fulcrum Coaching. In 2004 he began informally coaching a few friends and quickly realized how much he enjoyed helping them improve. Using this experience as a stepping stone, he launched Fulcrum Coaching in 2006. Whereas some coaching companies take a cookie-cutter approach to their clients, placing everyone on virtually identical training plans, Dan takes pride in treating each client’s training on a case-by-case basis to ensure everybody is in the best position to reach their goals. He understands that life commitments, such as work and family, are the biggest barriers to training and works with you to find the appropriate balance. Dan coaches clients interested in road racing, triathlon racing, mountain bike racing, cyclocross racing, and recreational riding. He lives in Southern Maryland with his wife Kate, their 2 daughters, and their 2 needy cats. To contact dan please email dan at fulcrumcoaching.com. Rusty is a husband, father, Air Force officer, PhD, and rabid bike-junkie. Originally from Nevada, he has raced since he was 8 years old in every region of the United States. Starting with BMX racing, he was infected with the racing bug early and has competitively raced track, road, mountain bike, adventure, multi-sport, marathons, and most fervently, cyclocross for over two decades. Following four years of NCAA Div I track and field competition, Rusty immediately began coaching athletes starting as an assistant coach at his college alma mater. Following his entry into the Air Force, he began coaching athletes preparing for endurance competitions across the nation. Thanks to Dan's influence, Rusty started training with power in 2005 and found great rewards in being able to analyze the body's physiological adaptations through an objective power measurement device. The result was his rapid upgrade to expert in mountain biking and Cat 2 in cyclocross in the hyper-competitive Mid-Atlantic racing region. Balancing the demands of training stress and life stress is critical to every cyclist; juggling a military career, continuing education and a growing family with a cycling obsession allows him to appreciate this delicate balance and take everything into account when coaching an athlete. Rusty has a BS in physics, MBA, MS in nuclear physics, PhD in nuclear engineering. He recently relocated to northern Virginia with his wife Maria, 2 kids, dog, cat, and 11 bikes. To contact Rusty please email Rusty at fulcrumcoaching.com.